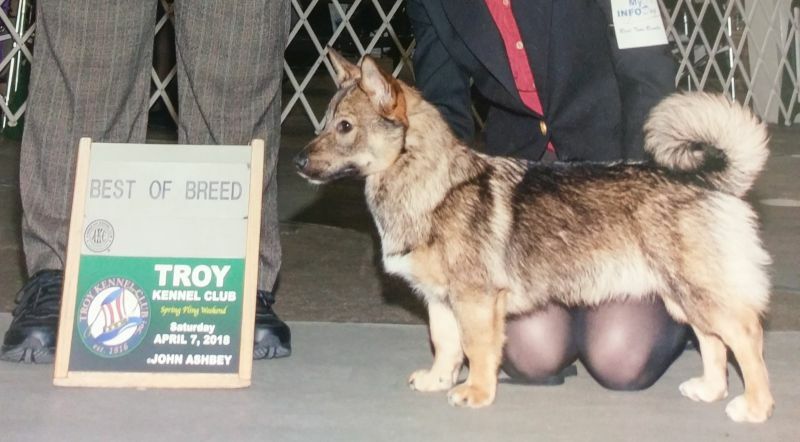 Orbit earned his first AKC breed championship point under judge Joy Brewster at just 7 months of age at the Troy Kennel Club AKC show in West Springfield, MA. 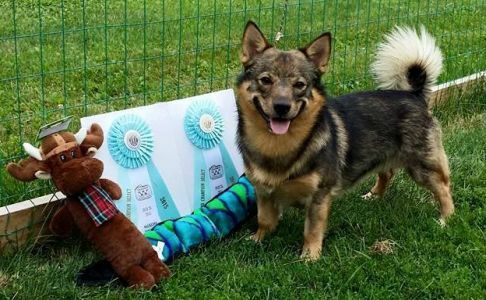 He took Best of Breed over a lovely Grand Chmapion special (who won Westminster!). Orbit is from our C litter! We are excited to co-own Orbit with Ruth and Jim. 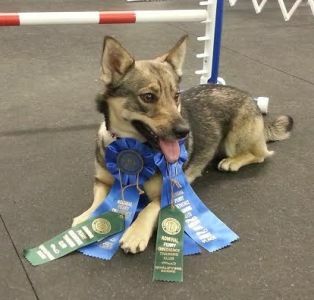 This lets us keep Orbit's genes available for our breeding plans without having another dog in our home, but it also lets Orbit have an awesome life as a beloved pet, learning agility and all kinds of fun things!